You’ve been training for months, maybe even years, for the big race day. Yet, a quick snap, crackle or pop and it’s game over. Instead of heading to the starting line you’re sitting on the couch. 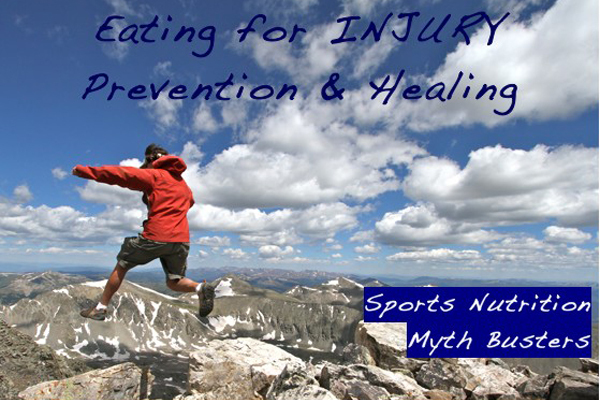 Did you know that sports injuries are often a sign of nutrition imbalance? Many athletes have come to think of injuries as simply part of training and being “sporty”. However, at the same time, athletes also have a tendency to focus their diet on a set of basic set of sports nutrition “rules” that concentrate on specific ratios of proteins, carbs and calories, with little attention to nutritional quality. Coincidence? I’m not so sure . Knee pain, pulled muscles, tweaked backs; the list goes on and once injury strikes few us have the time or the patience to sit around and let our injuries heal properly. The result? Significant pain, inflammation, a serious interruption in training and sometimes long-term damage. Instead of accepting a fate of injuries, I think it’s time for athletes to take control of their health and embrace a more preventative approach. Smart training and a balanced fitness regime (including yoga!) can definitely help prevent injury. However, when it comes to preventing injuries, quality nutrition is a deal breaker. Athletes who support their bodies daily with a strong foundation of quality, whole food nutrition (beyond simple carbs, proteins, and calories) will establish a strong defense against muscles strains and tears and are overall much less likely to get injured. Properly nourished athletes also recover faster if they do get injured (if you’re already injured it’s not too late!). The question athletes need to be asking themselves is: Do I know what foods work best for my athletic body? There is no one size fits all way of eating for sports and every athlete is unique (my upcoming program will help you figure out what works for you!). However, here are some tips to get you started with injury prevention and healing. Hydrate! No, I don’t mean guzzling gallons of coconut water or bottled sports drinks. I’m talking about pure, clean water for with injury prevention. A dehydrated joint or tissue is more susceptible to tears and injury. It also puts additional stress on the body and can cause imbalance. Adequate water consumption is critical to athletic performance and injury prevention. Keep collagen healthy with Vitamin C: Collagen is needed for holding bone together. It also provides strength and flexibility for ligaments and tendons. Vitamin C is a key player in the collagen equation. Athletes should feast on Vitamin C rich foods such as citrus fruits, dark leafy greens, broccoli and strawberries (organic of course!). Adding a squeeze of fresh lime to your water could make all the difference. Establish a nutritional trifecta for bone health. Fill your plate with foods rich in Calcium, Magnesium & Vitamin D and your athletic bones will be grateful! Though calcium gets a lot of attention for its role with bone health, the truth is that magnesium and Vitamin D are equally as important. Calcium is definitely required for strong bones and thus for the prevention of stress fractures. However, Calcium is a mineral that is not well absorbed by the body and requires magnesium for proper assimilation. Vitamin D is also required for proper calcium absorption. But wait! Before you reach for some milk and cheese to build strong bones, you might be surprised to learn that dairy could actually be doing damage to your athletic body. Alternatively, a diet rich in green leafy vegetables (i.e. kale, spinach) raw nuts and seeds (sesame seeds and tahini are great), cold water fish (salmon, mackerel, cod) and whole grains, can help you meet your calcium, magnesium and vitamin D needs. Don’t forget to enjoy some sunshine! Calm inflammation with healthy fats: Omega 3s are an essential fatty acid that is your body’s primary defense again chronic inflammation. You can support your body with injury prevention and recovery by including plenty of Omega 3s in your diet. Omega 3s are definitely an athlete’s friend! Omega-3 do wonders to help to ensure that your athletic joints and tissues are nourished and that your immune system is healthy and happy. Many athletes are deficient in omega-3s and consume far too many Omega-6s. What are the best whole food sources of Omega 3s? Oily fish, seeds and raw walnuts are all great sources. A quality Omega 3 supplement might also be a good idea for athletes. Make your own all natural chia seed energy drink (high in Omega 3s!). Don’t forget the zinc! Zinc is a mineral of great importance to the healing of tissues and wounds if we do get injured. It’s also a key player in your immune system. Whole food sources of zinc include turkey, red meat, lentils, legumes and brown rice. Now let’s skip the couch and hit the starting line! Integrate these tips into your sporty life and you’re on the road to becoming a holistic athlete! Feasting on quality whole foods and being mindful of injury prevention will do wonders for your career as an athlete. Ready to go deeper with this and discover what works best for your unique body? 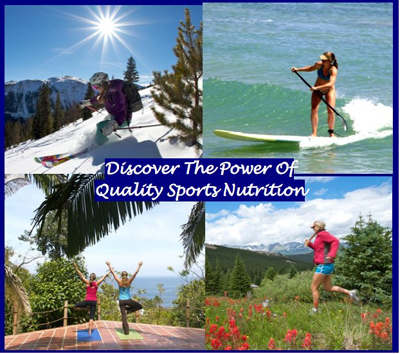 Join me for my upcoming online program “Sports Nutrition with a Holistic Twist”. It’s time to change your life as an athlete! Click here to find out more about this awesome program. Early bird special ends June 1st!